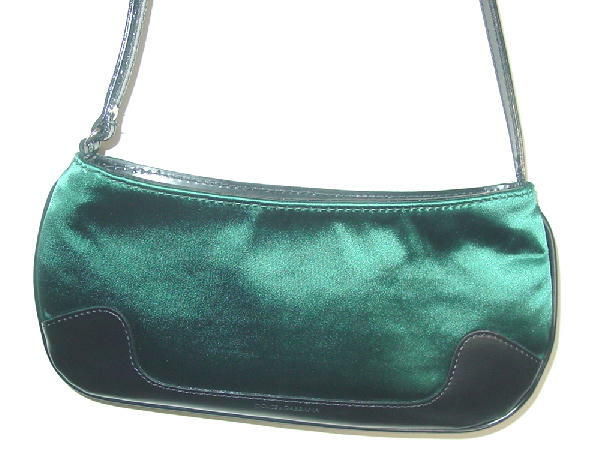 This never-used fabric and leather evening purse is in black leather and dark teal/emerald green shiny fabric. 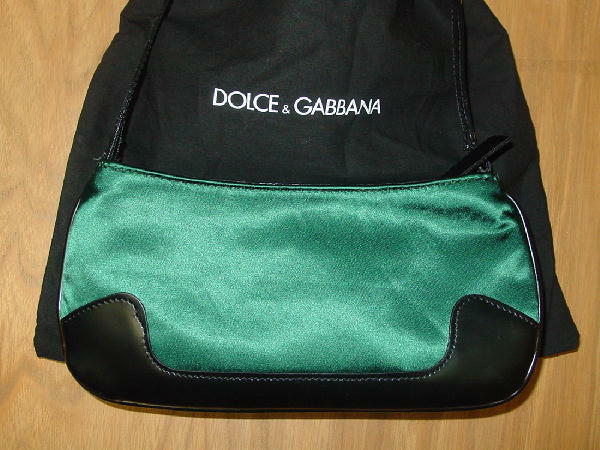 It has a shiny black fabric lining and an open interior pocket with a leather tag that has Dolce & Gabbana made in Italy etched on it. 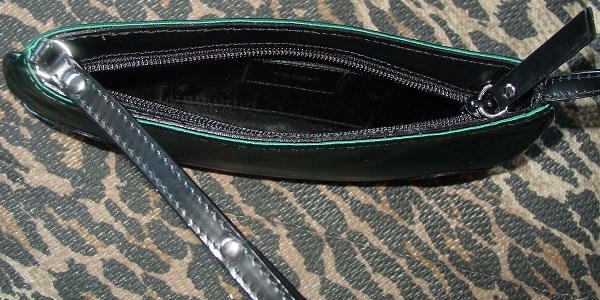 There is a top side to side zipper and a black leather pull. 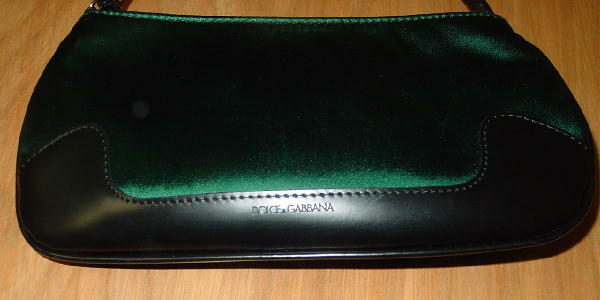 It has a 21 1/8" long by 3/8" wide leather strap and Dolce & Gabbana is etched on the bottom front black leather. 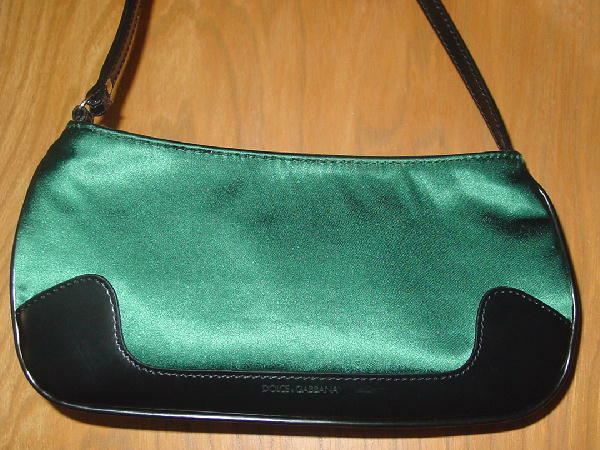 It has its own black bag. 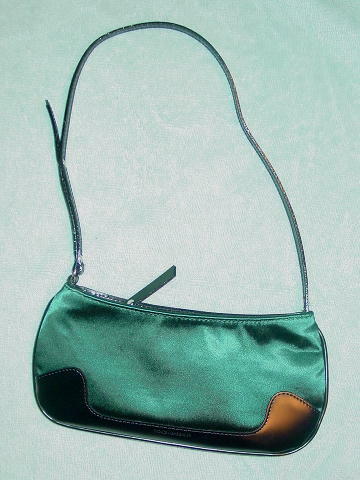 The color is more teal than is depicted in the pictures. The fabric has a nice low-luster sheen to it. A male model bought it for his model girlfriend for her birthday. They broke up before he gave it to her.